What a shameless ploy, to use the image of a famous hollywood hunk to grab your attention. Can you name him though? Did I hear you say ‘George Clooney?” – By George, you’re right! ‘George Clooney,’ is probably the best known of the #brand’s going by the name ‘George’ at the moment, but he is by no means the only brand ‘George’ on the market. Just as parents worry over the right name to give their baby, wanting something unique and pronounceable that sums up the very essential of their unique little newborn creation, those who name brands do the same thing. A brand name must appeal to the target audience and help to convey the core of what that brand stands for. And just as everyones wants their brand or their baby to be the only one with that name on the block, but consciously or unconsciously, both parents and brand-namers follow naming trends. Take the example of dear George. There’s been a bit of a renaissance in both brands (and babies) taking on this once old fashioned moniker. 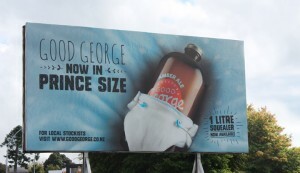 There is the new ‘Good George’ craft beer, produced by the Waikato based ‘Good George Brewery’. Good George, partnered with creative agency Bettle and Associates, have created a strong brand identity based on the name, identifiable typography and graphics and strong story. Good George is about honest beer, done well, for those who don’t want something mass produced. In short, this George is for those who want something a little bit different. Another George, is the new(ish) cafe ‘Charlie and George’, in the new Auckland suburb of Stonefields. This George brand is colourful, bright, busy, and aimed at the young, old and very young; I’ve seen it backed out with young mums and their young Georges. 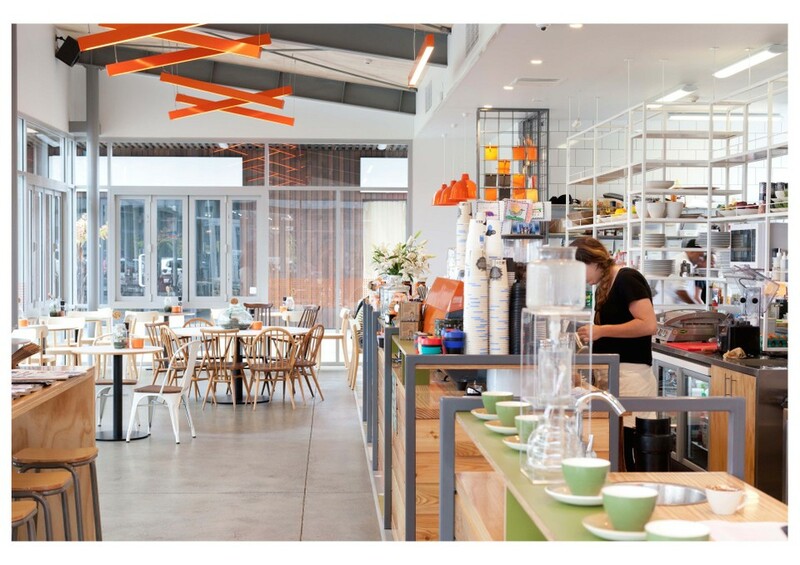 The design of the cafe as been award a gold award in the New Zealand’s Best Spatial Design. Hospitality’ category in the 2014 ‘Best’ awards, which recognise great design work in New Zealand. 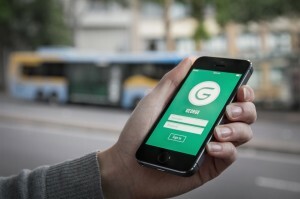 Another award recipient in 2014 Best Awards was the application ‘George’ – described as a ‘personal transportation companion’. Here ‘George’ is a memorable, personal name for a personal application. A ‘friend’ to travel with you. Naming any brand with a person’s first name is humanising. The brand seems more approachable. The name ‘George’ is a little bit old-fashioned, a little bit hipster and a little bit ‘everybody’s bloke’, in a slightly posh and refined way. There’ve been several King Georges, but a King Jason or King Jono isn’t likely! For brands looking to draw on some of this appeal, ‘George’ is name a name that a brand can use to appeal both a little bit to the kind of people who might appreciate craft beer (and maybe buy artisan muesli and do cyclocross and cross fit on the weekends) and a little bit to the young families who might have considered ‘George’ as their baby’s name, but went for an Alfie, Mason or Hendrix. And the name appeals a little bit to those who want a simple, memorable, easy to spell but just a little bit different name – just want every proud (brand) parent wants.